Lenovo K9 and Lenovo A5 phones are the latest launches by Lenovo in India, unveiled at an event in New Delhi on Tuesday. Both Lenovo K9 and Lenovo A5 sport traditional no-notch displays with significant bezels on the top and bottom edges as well as a rear fingerprint sensor. The Lenovo K9 packs dual cameras at the rear and front ends, both with flash support. This means that the Lenovo K9 comes with four cameras in total, two colour options, and a USB Type-C port. Additionally, the Lenovo A5, which was announced in China in June, has also been launched in the Indian market, and its highlight is the big 4,000mAh battery. The Lenovo K9 sports a 5.7-inch ‘FullScreen’ display with 720×1440 pixels resolution and 2.5D curved glass on both the sides. The smartphone is powered by the octa-core MediaTek’s Helio P22 chipset clocked at 2.0Ghz which comes paired with 3GB RAM / 32GB storage, expandable up to 256GB via a dedicated microSD card slot. While the Lenovo K9 runs Android 8.1 Oreo with the company’s own skin on top, it comes with dual SIM support as well. For optics, there is a dual rear camera setup with 13-megapixel and 5-megapixel sensors paired with LED flash. While the front camera setup also comes with a similar setup, both the front and rear modules offer AI-based bokeh, low-light features, back-light and beautify. Other features of the Lenovo K9 include a rear-mounted fingerprint scanner, face unlock, micro USB type-C support, dual 4G VoLTE, and a 3000mAh battery with 10W charging. The Lenovo A5 sports a 5.45-inch HD+ display with 1440 x 720 pixels resolution while the device is powered by the quad-core MediaTek MT6739 processor clocked at 1.3Ghz and paired with 2GB/3GB of RAM and 16GB/32GB of storage, which is expandable up to 256GB via a dedicated micro SD card slot. While the Lenovo A5 runs on Android 8.1 Oreo out of the box with ZUI 3.9 on top, it also comes with dual-SIM connectivity. For optics, there is a 13-megapixel rear camera with LED flash and f/2.2 aperture while at the front, there is an 8-megapixel selfie camera with f/2.2 aperture. While the whole package is backed by a 4000mAh non-removable battery other features of the Lenovo A5 includes a rear-mounted fingerprint scanner, face unlock, 4G VoLTE, WiFi, Bluetooth 4.2, micro USB support and a 3.5 mm audio jack. 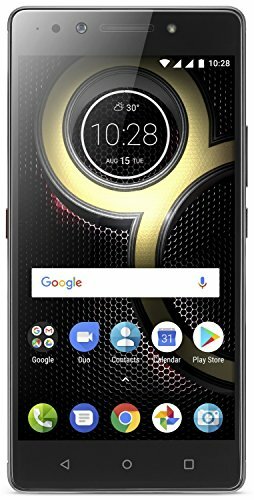 Lenovo K9 is priced in India at Rs. 8,999 for the sole 3GB RAM + 32GB storage option, and the smartphone will be available in Black and Blue colour options. Coming to the Lenovo A5, the smartphone is priced in India at Rs. 5,999 for the 2GB RAM + 16GB storage option, and the 3GB RAM + 32GB storage is priced at Rs. 6,999, and these variants will be available in Black and Fine Gold colour options. Both the phones will be sold exclusively via Flipkart, and users can register their interest on the Flipkart website.